It’s an honour to meet, explain and inspire! Among others Karin Vollering, owner of Groene Vingers Delft, a beautiful store in Delft, famous for its use of plants, provided an inspiring workshop in green home décor, while talking the participants through the making of a gorgeous terrarium. Dorien Ceulemans, chief editor of Ariadne at Home ran a workshop on her expertise of indoor styling and ambiance. And food stylist Caroline van Beek offered a great talk & how to style and take attractive food pics. In between all people present got a great idea of everything Mica Decorations has to offer in home décor. The afternoon ended with a masterclass Followers & Engagement by successful bloggers Sandra Gremmen and Yvonne Kwakkel. 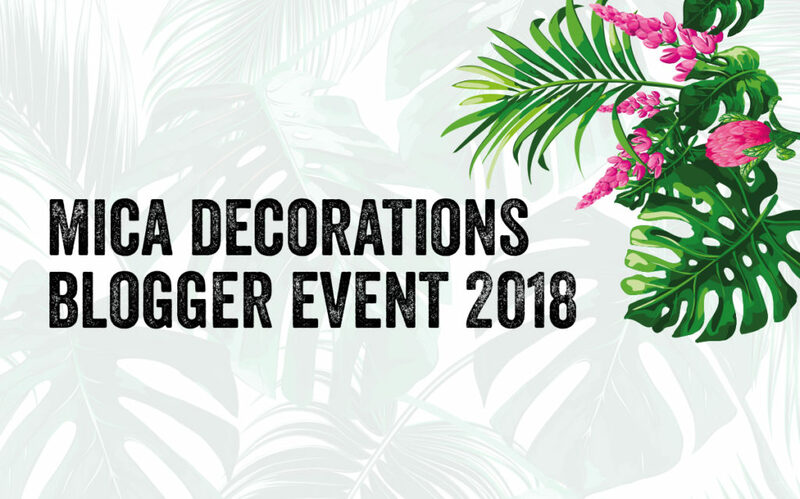 “Although influencer marketing is not a new concept within the industry, it has become wildly popular in the past few years and as a brand, we love to be part of that,” says Mica Decorations marketing manager Tirza van der Linden. “We organised the blogger event because it always such fun to show the things we’re passionate about. Meeting the online world offline is a great way to get to know each other in real life and to share the brand in an editorial context we all benefit from.